Product categories of Foodstuff Cylinder Box, we are specialized manufacturers from China, Foodstuff Cylinder Box, Biscuit Cylinder Box suppliers/factory, wholesale high-quality products of Dried Fruits Cylinder Box R & D and manufacturing, we have the perfect after-sales service and technical support. Look forward to your cooperation! The Foodstuff Cylinder Box are similar to the tea boxes. 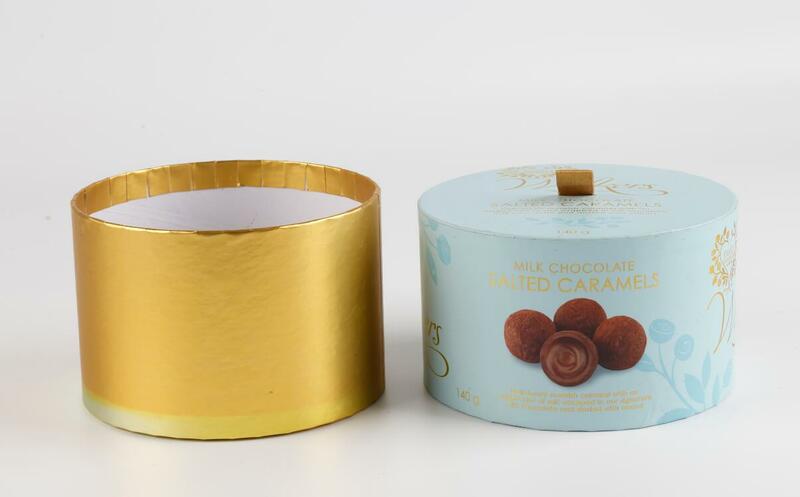 they are also made with non-tonic food grade lamination inside,material normally use 1mm-2mm paper tube with coated paper 120-157 gsm C2S,you can custom the box in size,color and logo printing,and surface disposal can be hot/cold foil stamping,UV spot/varnish,embossed/debossed,matt/glossy lamination,The foodstuff tube boxes are always for biscuit, nuts, dried fruits, potato chips and other foods packing,Welcome to inquire if you are interested!